American Jews, or Jewish Americans, are Americans who are Jews, whether by religion, ethnicity or nationality. The current Jewish community in the United States consists primarily of Ashkenazi Jews, who descend from diaspora Jewish populations of Central/Eastern Europe and comprise about 90% of the American Jewish population. Most American Ashkenazim are US-born, with a dwindling number of now elderly earlier immigrants, as well as some more recent foreign-born immigrants. At the beginning of the 20th century, these newly arrived Jews built support networks consisting of many small synagogues and Landsmannschaften (German for "Countryman Associations") for Jews from the same town or village. American Jewish writers of the time urged assimilation and integration into the wider American culture, and Jews quickly became part of American life. 500,000 American Jews (or half of all Jewish males between 18 and 50) fought in World War II, and after the war younger families joined the new trend of suburbanization. There, Jews became increasingly assimilated and demonstrated rising intermarriage. The suburbs facilitated the formation of new centers, as Jewish school enrollment more than doubled between the end of World War II and the mid-1950s, while synagogue affiliation jumped from 20% in 1930 to 60% in 1960; the fastest growth came in Reform and, especially, Conservative congregations. More recent waves of Jewish emigration from Russia and other regions have largely joined the mainstream American Jewish community. During the Reagan re-election campaign of 1984, the Republican retained 31% of the Jewish vote, while 67% voted for Democrat Walter Mondale. The 1988 election saw Jewish voters favor Democrat Michael Dukakis by 64%, while George H. W. Bush polled a respectable 35%, but during Bush's re-election attempt in 1992, his Jewish support dropped to just 11%, with 80% voting for Bill Clinton and 9% going to independent Ross Perot. Clinton's re-election campaign in 1996 maintained high Jewish support at 78%, with 16% supporting Robert Dole and 3% for Perot. The Ashkenazi Jews, who are now the vast majority of American Jews, settled first in and around New York City; in recent decades many have moved to Miami, Los Angeles and other large metropolitan areas in the South and West. The metropolitan areas of New York City, Los Angeles, and Miami contain nearly one quarter of the world's Jews. Jews are overrepresented in American Buddhism specifically among those whose parents are not Buddhist, and without Buddhist heritage, with between one fifth and 30% of all American Buddhists identifying as Jewish though only 2% of Americans are Jewish. Nicknamed Jubus, an increasing number of American Jews have begun adopting Buddhist spiritual practice, while at the same time continuing to identify with and practice Judaism. Notable American Jewish Buddhists include: Robert Downey, Jr. Allen Ginsberg, Goldie Hawn and daughter Kate Hudson, Steven Seagal, Adam Yauch of the rap group The Beastie Boys, and Garry Shandling. Film makers the Coen Brothers have been influenced by Buddhism as well for a time. Paul Warburg, one of the leading advocates of the establishment of a central bank in the United States and one of the first governors of the newly established Federal Reserve System, came from a prominent Jewish family in Germany. Since then, several Jews have served as chairmen of the Fed, including the prior chairmen Ben Bernanke and Alan Greenspan and the current chairwoman Janet Yellen. Arnold Dashefsky; Ira M. Sheskin (3 February 2016). American Jewish Year Book 2015: The Annual Record of the North American Jewish Communities. Springer. pp. 175–. ISBN 978-3-319-24505-8. https://books.google.com/books?id=gaqFCwAAQBAJ&pg=PA175. "A portrait of Jewish Americans Chapter 1: Population Estimates". Pew Research Center. 1 October 2013. http://www.pewforum.org/2013/10/01/chapter-1-population-estimates/. Retrieved 7 October 2013. "Combining 5.3 million adult Jews (the estimated size of the net Jewish population in this survey) with 1.3 million children (in households with a Jewish adult who are being raised Jewish or partly Jewish) yields a total estimate of 6.7 million Jews of all ages in the United States (rounded to the nearest 100,000)"
DellaPergola, Sergio (2015). ﻿World Jewish Population, 2015﻿ (Report). Berman Jewish DataBank. http://www.jewishdatabank.org/Studies/downloadFile.cfm?FileID=3394. Retrieved 4 May 2016. ^ Maltz, Judy (August 27, 2015). "60,000 American Jews Live in the West Bank, New Study Reveals". Haaretz. http://www.haaretz.com/israel-news/.premium-1.673358. Retrieved January 2, 2016. ^ "Israel versus the Jews". The Economist. 7 July 2017. https://www.economist.com/news/middle-east-and-africa/21724880-israeli-government-opens-rift-american-jews-over-prayer-rights-israel. Retrieved 9 July 2017. ^ Sheskin, Ira M. (2000). "American Jews". In McKee, Jesse O.. Ethnicity in Contemporary America: A Geographical Appraisal. Lanham, Md. : Rowman & Littlefield. p. 227. ISBN 0-7425-0034-9. https://books.google.com/books?id=rrf_HrCTXdgC&pg=PA227. "[The 1990 National Jewish Population Survey] showed that only 5% of American Jews consider being Jewish solely in terms of being a member of a religious group. Thus, the vast majority of American Jews view themselves as members of an ethnic group and/or a cultural group, and/or a nationality." ^ "More Ashkenazi Jews Have Gene Defect that Raises Inherited Breast Cancer Risk". http://theoncologist.alphamedpress.org/content/1/5/335.full. Retrieved 8 November 2013. ^ "First genetic mutation for colorectal cancer identified in Ashkenazi Jews". The Gazette. http://pages.jh.edu/~gazette/julsep97/sep0897/briefs.html. Retrieved 10 September 2013. ^ "Jews in America: Portal to American Jewish History". http://www.jewsinamerica.org/. Retrieved February 15, 2015. ^ "Kahal Kadosh Beth Elohim Synagogue". jewishvirtuallibrary.org. 2014. https://www.jewishvirtuallibrary.org/jsource/vjw/Kahalsyn.html. Retrieved January 20, 2016. ^ "Kahal Kadosh Beth Elohim Synagogue". nps.gov. http://www.nps.gov/nr/travel/charleston/kah.htm. ^ Sarna, Jonathan; Golden, Jonathan. "The American Jewish Experience through the Nineteenth Century: Immigration and Acculturation". TeacherServe. http://nationalhumanitiescenter.org/tserve/nineteen/nkeyinfo/judaism.htm. Retrieved 27 April 2016. ^ Yiddish is a dialect of German written in the Hebrew alphabet and based entirely in the East European Jewish population. Robert Moses Shapiro (2003). Why Didn't the Press Shout? : American & International Journalism During the Holocaust. KTAV. p. 18. https://books.google.com/books?id=I3lItIwOzCkC&pg=PA18. ^ Nelly Lalany (2011-07-23). "Ashkenazi Jews rank smartest in world". Ynet. http://www.ynetnews.com/articles/0,7340,L-4098351,00.html. Retrieved 27 October 2013. "Jews comprise 2.2% of the USA population, but they represent 30% of faculty at elite colleges, 21% of Ivy League students, 25% of the Turing Award winners, 23% of the wealthiest Americans, and 38% of the Oscar-winning film directors"
^ Lazar Berman. "The 2011 Nobel Prize and the Debate over Jewish IQ". The American. http://www.aei.org/publication/the-2011-nobel-prize-and-the-debate-over-jewish-iq/. Retrieved 18 October 2013. ^ Tani Goldstein. "How did American Jews get so rich?". Ynet. http://www.ynetnews.com/articles/0,7340,L-4099803,00.html. Retrieved 8 November 2013. ^ Korelitz, Seth (1997). "The Menorah Idea: From Religion to Culture, From Race to Ethnicity". American Jewish History 85 (1): 75–100. ISSN 0164-0178. ^ Siporin, Steve (1990). "Immigrant and Ethnic Family Folklore". Western States Jewish History 22 (3): 230–242. ISSN 0749-5471. ^ Flanzbaum, Hilene, ed (1999). The Americanization of the Holocaust. ^ Penkower, Monty Noam (2000). "Shaping Holocaust Memory". American Jewish History 88 (1): 127–132. DOI:10.1353/ajh.2000.0021. ISSN 0164-0178. ^ a b c d e f g "Jewish Vote In Presidential Elections". American-Israeli Cooperative Enterprise. https://www.jewishvirtuallibrary.org/jsource/US-Israel/jewvote.html. Retrieved October 28, 2008. ^ Smith, Gregory A.; Martínez, Jessica (9 November 2016). "How the faithful voted: A preliminary 2016 analysis". http://www.pewresearch.org/fact-tank/2016/11/09/how-the-faithful-voted-a-preliminary-2016-analysis/. Retrieved 13 January 2017. ^ "Democratic Party Platform of 1944". American Presidency Project. http://www.presidency.ucsb.edu/ws/?pid=29598. Retrieved 24 May 2016. ^ "Republican Party Platform of 1944". American Presidency Project. http://www.presidency.ucsb.edu/ws/?pid=25835. Retrieved 24 May 2016. ^ a b c d e Jeffrey S. Helmreich. "The Israel swing factor: how the American Jewish vote influences U.S. elections". Archived from the original on September 20, 2008. http://www.jcpa.org/jl/vp446.htm. Retrieved October 2, 2008. ^ "Local Exit Polls – Election Center 2008 – Elections & Politics from CNN.com". http://www.cnn.com/ELECTION/2008/results/polls/#val=USP00p2. Retrieved February 15, 2015. ^ Confessore, Nicholas (February 10, 2016). "As Bernie Sanders Makes History, Jews Wonder What It Means". https://www.nytimes.com/2016/02/11/us/politics/bernie-sanders-jewish.html. ^ "Tom Gross on US Jewish voting habits". http://www.tomgrossmedia.com/USvotinghabits.html. Retrieved February 15, 2015. ^ F. Weisberg, Herbert (2012). "Reconsidering Jewish Presidential Voting Statistics" 32: 215–236. DOI:10.1007/s12397-012-9093-z. Retrieved on 4 January 2014. ^ "2006 EXIT POLLS". CNN. http://edition.cnn.com/ELECTION/2006/pages/results/states/US/H/00/epolls.0.html. Retrieved 4 January 2014. ^ a b "Jewish Members of the 114th Congress". http://www.jewishvirtuallibrary.org/jsource/US-Israel/jewcong114.html. ^ Nicholas, Peter (July 26, 2016). "Bernie Sanders to Return to Senate as an Independent". The Wall Street Journal. https://blogs.wsj.com/washwire/2016/07/26/bernie-sanders-to-return-to-senate-as-an-independent/. Retrieved September 19, 2016. ^ Kampeas, Ron (November 3, 2010). "The Chosen: Jewish members in the 112th U.S. Congress". Jewish Telegraphic Agency. http://www.jta.org/2010/11/03/news-opinion/politics/the-chosen-jewish-members-in-the-112th-u-s-congress. Retrieved 4 January 2014. ^ "Jews in the 111th Congress - The Jewish Exponent". August 12, 2011. http://www.jewishexponent.com/article/17558/Jews_in_the_111th_Congress/. 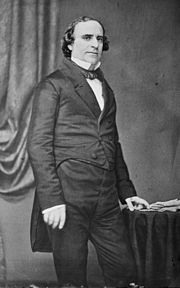 ^ "Joachim Prinz March on Washington Speech". joachimprinz.com. http://www.joachimprinz.com/civilrights.htm. ^ "Veterans of the Civil Rights Movement – March on Washington". Civil Rights Movement Veterans. http://www.crmvet.org/info/mowprog.htm. ^ (1987) "Mass Murder Hides Holocaust: Beyond Belief: The American Press and the Coming of the Holocaust, 1933–1945 by Deborah E. Lipstadt". Reviews in American History 15 (3): 474–479. DOI:10.2307/2702047. ^ a b Ofira Seliktar (2007). "The Changing Identity of American Jews, Israel and the Peace Process". In Danny Ben-Moshe. Israel, the Diaspora, and Jewish Identity. Sussex Academic Press. p. 126. ISBN 978-1-84519-189-4. https://books.google.com/books?id=1bXETKMOI1cC&pg=PA126. Retrieved January 20, 2016. "The 1993 Oslo Agreement made this split in the Jewish community official. Prime Minister Yitzak Rabin's handshake with Yasir Arafat during the September 13 White House ceremony elicited dramatically opposed reactions among American Jews. To the liberal universalists the accord was highly welcome news. As one commentator put it, after a year of tension between Israel and the United States, "there was an audible sigh of relief from American and Jewish liberals. Once again, they could support Israel as good Jews, committed liberals, and loyal Americans." The community "could embrace the Jewish state, without compromising either its liberalism or its patriotism". Hidden deeper in this collective sense of relief was the hope that, following the peace with the Palestinians, Israel would transform itself into a Western-style liberal democracy, featuring a full separation between the state and religion. Not accidentally, many of the leading advocates of Oslo, including the Yossi Beilin, the then Deputy Foreign Minister, cherish the belief that a "normalized" Israel would become less Jewish and more democratic. However, to some right wing Jews, the peace treaty was worrisome. From their perspective, Oslo was not just an affront to the sanctity of how they interpreted their culture, but also a personal threat to the lives and livelihood settlers, in the West Bank and Gaza AKA "Judea and Samaria". For these Jews, such as Morton Klein, the president of the Zionist organization of America, and Norman Podhoretz, the editor of Commentary, the peace treaty amounted to an appeasement of Palestinian terrorism. They and others repeatedly warned that the newly established Palestinian Authority (PA) would pose a serious security threat to Israel." ^ Pfeffer, Anshel. "Jewish Agency: 13.2 million Jews worldwide on eve of Rosh Hashanah, 5768". Haaretz Daily Newspaper Israel. Archived from the original on October 11, 2007. https://web.archive.org/web/20071011130459/http://haaretz.com/hasen/spages/903585.html. Retrieved October 18, 2017. ^ "Brandeis University Study Finds that American-Jewish Population is Significantly Larger than Previously Thought". http://download.2164.net/PDF-newsletters/jewishpopulation.pdf. Retrieved 30 November 2013. ^ "A Portrait of Jewish Americans". pewforum.org. http://www.pewforum.org/2013/10/01/jewish-american-beliefs-attitudes-culture-survey/. Retrieved June 23, 2017. ^ a b c d "The Largest Jewish Communities". adherents.com. Archived from the original on October 16, 2008. http://www.adherents.com/largecom/com_judaism.html. Retrieved November 8, 2008. ^ "Judaism (estimated) Metro Areas (2000)". The Association of Religion Data Archives. Archived from the original on November 23, 2009. https://web.archive.org/web/20091123122848/http://www.thearda.com/QuickLists/QuickList_195c.asp. Retrieved December 1, 2009. ^ "2002 Greater Phoenix Jewish Community Study". http://www.jewishphoenix.org/local_includes/downloads/9038.pdf. 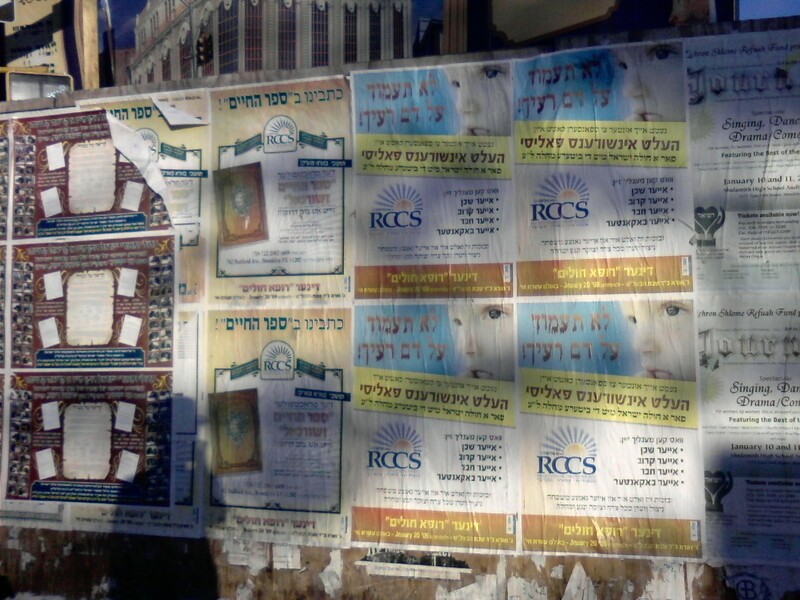 ^ "Kiryas Joel, New York". Modern Language Association. http://www.mla.org/census_data_results&state_id=36&place_id=39853. Retrieved December 14, 2006. ^ Herman, Pini (2000). Needs of the Community: A Classification of Needs & Services for the L.A. Jewish Community. Los Angeles: Jewish Federation of Greater Los Angeles. p. 36. http://www.bjpa.org/Publications/details.cfm?PublicationID=11686. ^ "Jewish Population in the United States, 2010". Ira Sheskin University of Miami, Arnold Dashefsky University of Connecticut. http://www.jewishdatabank.org/Studies/downloadFile.cfm?FileID=2921. Retrieved 8 November 2013. ^ Gold, Steven (1996). "Israelis in the United States" (PDF). American Jewish Yearbook 96: 51–101. ^ "Database on immigrants and expatriates:Emigration rates by country of birth (Total population)". Organisation for Economic Co-ordination and Development, Statistics Portal. Archived from the original on May 12, 2008. https://web.archive.org/web/20080512003030/http://www.oecd.org/document/51/0%2C3343%2Cen_2825_494553_34063091_1_1_1_1%2C00.html. Retrieved April 15, 2008. ^ "UJC - NJPS: Demography: The Jewish Population". December 2, 2006. Archived from the original on December 2, 2006. https://web.archive.org/web/20061202051914/http://www.ujc.org/content_display.html?ArticleID=83784. ^ Comenetz, Joshua. "Jewish Maps of the United States by Counties, 2011". Berman Jewish DataBank. http://www.jewishdatabank.org/Studies/details.cfm?StudyID=602. Retrieved September 10, 2017. ^ Postrel, Virginia (May 1993). "Uncommon Culture". Retrieved on October 5, 2007. ^ "THE LARGER TASK – MARCUS". American Jewish Archives. http://media.americanjewisharchives.org/docs/marcus/largerTask.pdf. Retrieved 17 October 2013. ^ "Cengage Learning – Login". Archived from the original on 2002-11-28. https://web.archive.org/web/20021128122938/http://college.hmco.com/history/readerscomp/rcah/html/ah_047702_religiouscul.htm. Retrieved February 15, 2015. ^ "Pew survey of U.S. Jews: soaring intermarriage, assimilation rates". Jewish Telegraphic Agency. http://www.jta.org/2013/10/01/news-opinion/united-states/pew-survey-u-s-jewish-intermarriage-rate-rises-to-58-percent. ^ Michael Paulson (November 10, 2006). "Jewish population in region rises". Boston Globe. http://www.boston.com/news/local/articles/2006/11/10/jewish_population_in_region_rises/. Retrieved November 29, 2009. ^ "Wayback Machine". December 13, 2006. http://www.cjp.org/local_includes/downloads/16072.pdf. ^ "The Future of Judaism". nysun.com. http://www.nysun.com/foreign/future-of-judaism/8189/. ^ a b "'Majority of Jews will be Ultra-Orthodox by 2050'". manchester.ac.uk. http://www.manchester.ac.uk/discover/news/article/?id=2932. ^ Feldman, Gabriel E. (May 2001). "Do Ashkenazi Jews have a Higher than expected Cancer Burden? Implications for cancer control prioritization efforts". Israel Medical Association Journal 3 (5): 341–46. Retrieved on 2013-09-04. ^ Mozgovaya, Natasha (2008-04-02). "'It's not easy being an Ethiopian Jew in America'". Haaretz. http://www.haaretz.com/blogs/focus-u-s-a/it-s-not-easy-being-an-ethiopian-jew-in-america-1.273719. Retrieved 2010-12-25. ^ Carolyn Chen; Russell Jeung (2012). Sustaining Faith Traditions: Race, Ethnicity, and Religion Among the Latino and Asian American Second Generation. NYU Press. p. 88. ISBN 978-0-8147-1735-6. https://books.google.com/books?id=LoUUCgAAQBAJ&pg=PA88. ^ Dave Schechter (December 19, 2016). "Are Jews White? It's Complicated". Atlanta Jewish Times. http://atlantajewishtimes.timesofisrael.com/jews-white-complicated/. Retrieved September 1, 2017. ^ Margaret Andersen; Patricia Hill Collins (2015). Race, Class, & Gender: An Anthology. Cengage Learning. pp. 84–85. ISBN 978-1-305-53727-9. https://books.google.com/books?id=AJBvCgAAQBAJ&pg=PA84. ^ "A Portrait of Jewish Americans: Findings from a Pew Research Center Survey of U.S. Jews". Pew Research Center. October 1, 2013. p. 46. http://assets.pewresearch.org/wp-content/uploads/sites/11/2013/10/jewish-american-full-report-for-web.pdf. Retrieved August 19, 2017. ^ "For Some Americans Of MENA Descent, Checking A Census Box Is Complicated". https://www.npr.org/sections/codeswitch/2017/03/11/519548276/for-some-arab-americans-checking-a-census-box-is-complicated. ^ David Whelan (May 8, 2003). "A Fledgling Grant Maker Nurtures Young Jewish 'Social Entrepreneurs'". The Chronicle of Philanthropy. https://philanthropy.com/article/A-Fledgling-Grant-Maker/183775. Retrieved December 17, 2007. ^ Michael Gelbwasser (April 10, 1998). "Organization for black Jews claims 200,000 in U.S.". j.. http://www.jweekly.com/article/full/8029/organization-for-black-jews-claims-200-000-in-u-s/. Retrieved August 2, 2010. ^ Samuel C Heilman. Portrait of American Jews: the last half of the twentieth century. https://books.google.com/books?id=8CBKlNyBM8AC&pg=PA39&lpg=PA39&dq=American+Jews+value+education&source=bl&ots=e4pVwjUmux&sig=gGgy82LE4BCaM5AL51fRSKShHzI&hl=en&sa=X&ei=cFj8U461PMKDiwKfgoHYDg&ved=0CDIQ6AEwAzgK#v=onepage&q=American%20Jews%20value%20education&f=false. Retrieved 26 August 2014. ^ Kamp, Jim. "Jewish americans". http://www.everyculture.com/multi/Ha-La/Jewish-Americans.html. Retrieved 26 August 2014. ^ Amy B. Dean (September 2, 2013). "A Jewish Fight for Public Education". The Jewish Daily. http://forward.com/opinion/183260/a-jewish-fight-for-public-education/?p=all. Retrieved 26 August 2014. ^ "New Study Claims US Jews Have Reasons to Be Proud – Latest News Briefs – Arutz Sheva". Arutz Sheva. http://www.israelnationalnews.com/News/Flash.aspx/148845. Retrieved February 15, 2015. ^ Grubin, David. "Doing Well and Doing Good". https://www.pbs.org/jewishamericans/jewish_life/education_and_philanthropy.html. Retrieved 26 August 2014. (202) 419-4372 | Media Inquiries"
^ a b c "Demographic Profiles of Religious Groups". Pew Research Centre. May 12, 2015. http://www.pewforum.org/2015/05/12/chapter-3-demographic-profiles-of-religious-groups/. Retrieved 12 May 2015. ^ "Religion in America: U.S. Religious Data, Demographics and Statistics – Pew Research Center". Pew Research Center's Religion & Public Life Project. May 11, 2015. Archived from the original on 2009-04-29. https://web.archive.org/web/20090429190052/http://religions.pewforum.org/pdf/table-income-by-tradition.pdf. ^ a b "Comparative Religions – U.S. Religious Landscape Study – Pew Forum on Religion & Public Life". http://religions.pewforum.org/comparisons#. Retrieved February 15, 2015. ^ "Religion in America: U.S. Religious Data, Demographics and Statistics – Pew Research Center". Pew Research Center's Religion & Public Life Project. May 11, 2015. Archived from the original on 2009-02-06. https://web.archive.org/web/20090206154901/http://religions.pewforum.org/pdf/table-education-by-tradition.pdf. ^ correspondent, Harriet Sherwood Religion (December 13, 2016). "Jews are world's best-educated religious group, study reveals". https://www.theguardian.com/world/2016/dec/13/jews-are-worlds-best-educated-religious-group-study-reveals. ^ "Hindus are the most educated group in the US, least educated worldwide". December 14, 2016. http://www.hindustantimes.com/world-news/hindus-are-the-most-educated-group-in-the-us-least-educated-worldwide/story-I0Y2xVjO05CJNMXl3g01iM.html. ^ Bernard J. Shapiro. "NATIONAL JEWISH POPULATION SURVEY 2000–01". The Jewish Federations. Archived from the original on 2010-12-14. https://web.archive.org/web/20101214132705/http://www.jewishfederations.org/local_includes/downloads/3905.pdf. Retrieved January 30, 2013. ^ a b Frum, David (January 4, 2010). "Do Jews Hate Palin". Frum Forum. http://www.frumforum.com/do-jews-hate-palin/. Retrieved 26 August 2014. ^ James Adonis (7 March 2014). "Lessons from Jews and Mormons". The Sydney Herald. http://www.smh.com.au/small-business/managing/work-in-progress/lessons-from-jews-and-mormons-20140306-34b11. Retrieved 20 August 2014. ^ "Hillel's Top 10 Jewish Schools". Hillel. Hillel.org. February 16, 2006. Archived from the original on 2007-12-20. https://web.archive.org/web/20071220203907/http://www.hillel.org/about/news/2006/feb/20060216_top.htm. Retrieved January 6, 2009. ^ a b "News – Views". hillel.org. Archived from the original on September 12, 2017. https://web.archive.org/web/20170912092011/http://www.hillel.org/college-guide/search. ^ "FAQ". Hillel at Binghamton. http://www.hillelatbinghamton.org/index.php?submenu=FAQs&src=faq#faq1. Retrieved March 14, 2012. ^ a b c "College Guide – Hillels Guide to Jewish Life at Colleges and Universities". hillel.org. http://www.hillel.org/college-guide. ^ "A PORTRAIT OF JEWISH AMERICANS – Chapter 3: Jewish Identity". Pew Research. October 1, 2013. http://www.pewforum.org/2013/10/01/chapter-3-jewish-identity/. Retrieved 4 January 2014. ^ a b Humphrey Taylor (October 15, 2003). "While Most Americans Believe in God, Only 36% Attend a Religious Service Once a Month or More Often" (PDF). The Harris Poll #59. Archived from the original on December 6, 2010. https://web.archive.org/web/20101206042041/http://www.harrisinteractive.com/vault/Harris-Interactive-Poll-Research-While-Most-Americans-Believe-in-God-Only-36-pct-A-2003-10.pdf. ^ "US survey: Number of religious Jews drops sharply". ynet. http://www.ynetnews.com/articles/0,7340,L-3759000,00.html. Retrieved February 15, 2015. ^ Emily Gertz. "Is Keeping Kosher Good for the Environment?". http://www.scientificamerican.com/article/kosher-carbon-footprint/. Retrieved February 15, 2015. ^ "Evolution in a new Harris poll". NCSE. http://ncse.com/news/2009/12/evolution-new-harris-poll-005232. Retrieved March 14, 2012. ^ Yoheved, Sara (May 14, 2005). "Conflicts of a Buddhist Jew". Aish.com. http://www.aish.com/sp/so/48905982.html. Retrieved March 14, 2012. ^ "Religion & Ethics NewsWeekly . COVER STORY . Jews and American Buddhism . February 27, 1998". PBS. February 27, 1998. Archived from the original on 2008-11-10. https://web.archive.org/web/20081110221232/http://www.pbs.org/wnet/religionandethics///week126/cover.html. Retrieved March 14, 2012. ^ De Vries, Hilary (November 21, 2004). "Robert Downey Jr.: The Album". The New York Times. https://www.nytimes.com/2004/11/21/arts/music/robert-downey-jr-the-album.html. Retrieved May 6, 2010. ^ Michael Schumacher (January 27, 2002). "The Allen Ginsberg Trust: Biography". allenginsberg.org. Archived from the original on July 23, 2008. https://web.archive.org/web/20080723165917/http://allenginsberg.org/bio.php. Retrieved August 23, 2016. ^ "CNN.com". CNN. http://transcripts.cnn.com/TRANSCRIPTS/0602/24/lkl.01.html. Retrieved May 6, 2010. ^ "The Dude Abides…Not Just Coen Brothers Fans Will Take Comfort in That". The Dudespaper. http://dudespaper.com/the-dude-abidesnot-just-coen-brothers-fans-will-take-comfort-in-that.html/. ^ Berger, Joseph (2006-01-15). "Milton Himmelfarb, Wry Essayist, 87, Dies". The New York Times. https://www.nytimes.com/2006/01/15/nyregion/milton-himmelfarb-wry-essayist-87-dies.html. ^ "Pugh Forum findings Page 81" (PDF). Archived from the original on March 9, 2011. http://religions.pewforum.org/pdf/report2religious-landscape-study-chapter-2.pdf. Retrieved March 10, 2011. ^ "Voting patterns of Jews and other religious groups – Statistical Modeling, Causal Inference, and Social Science". Statistical Modeling, Causal Inference, and Social Science. http://andrewgelman.com/2008/05/23/voting_patterns/. Retrieved February 15, 2015. ^ a b Yitzhak Benhorin. "78% of American Jews vote Obama". Yedioth Internet. http://www.ynetnews.com/articles/0,7340,L-3618408,00.html. Retrieved October 5, 2008. ^ Berenbaum, Michael (November 8, 2012). "Some Jewish takeaways from the 2012 Election". Jewish Journal. http://www.jewishjournal.com/opinion/article/some_jewish_takeaways_from_the_2012_election. Retrieved November 8, 2012. ^ Laurie Goodstein; William Yardley (November 5, 2004). "President Benefits From Efforts to Build a Coalition of Religious Voters". The New York Times. https://www.nytimes.com/2004/11/05/politics/campaign/bush-benefits-from-efforts-to-build-a-coalition-of-the-faithful.html. Retrieved January 19, 2016. ^ Natan Guttman (July–August 2011). "Myths About the "Jewish Vote"". Moment Magazine. http://www.momentmag.com/. ^ Jeffrey M. Jones. "Among Religious Groups, Jewish Americans Most Strongly Oppose War". Gallup, Inc.. Archived from the original on October 11, 2008. http://www.gallup.com/poll/26677/Among-Religious-Groups-Jewish-Americans-Most-Strongly-Oppose-War.aspx. Retrieved October 4, 2008. ^ "Editor's Comments" (PDF). Near East. Archived from the original on October 29, 2008. http://www.aipac.org/Publications/AIPACPeriodicalsNearEastReport/NER011507.pdf. Retrieved October 4, 2008. ^ "Pugh Forum findings Page 92" (PDF). Archived from the original on March 9, 2011. http://religions.pewforum.org/pdf/report2religious-landscape-study-chapter-2.pdf. Retrieved March 10, 2011. ^ "The gay question and the Jewish question". haaretz. http://www.haaretz.com/the-gay-question-and-the-jewish-question-1.206707. Retrieved January 6, 2010. ^ "Attacks on Gay Rights: How Jews See It". jewsonfirst.org. http://www.jewsonfirst.org/howjewsseegr.html. ^ Rebecca Spence. "Poll: Conservative Leaders Back Gay Rabbis". Forward Association. http://forward.com/news/9989/poll-conservative-leaders-back-gay-rabbis/. Retrieved April 23, 2009. ^ "L.A. Jews overwhelmingly opposed Prop. 8, exit poll finds". LA Times. November 9, 2008. Archived from the original on December 12, 2008. https://web.archive.org/web/20081212232129/http://latimesblogs.latimes.com/lanow/2008/11/la-jews-overwhe.html. Retrieved December 10, 2008. ^ "Pugh Forum findings Page 104" (PDF). Archived from the original on March 9, 2011. http://religions.pewforum.org/pdf/report2religious-landscape-study-chapter-2.pdf. Retrieved March 10, 2011. ^ "Majority of Americans Oppose US Marijuana Policies". NORML. Archived from the original on April 23, 2009. http://norml.org/index.cfm?Group_ID=5052. Retrieved April 23, 2009. ^ "How Americans Feel About Religious Groups". 2014-07-16. http://www.pewforum.org/2014/07/16/how-americans-feel-about-religious-groups/. ^ Green, Emma (2014-07-16). "Americans Say Jews Are the Coolest". https://www.theatlantic.com/national/archive/2014/07/americans-just-think-jews-are-the-coolest/374530/. ^ "Detailed Language Spoken at Home and Ability to Speak English for Persons 5 Years and Over – 50 Languages with Greatest Number of Speakers: United States 1990". United States Census Bureau. 1990. https://www.census.gov/hhes/socdemo/language/data/census/table5.txt. Retrieved July 22, 2012. ^ "Language Spoken at Home: 2000". United States Bureau of the Census. http://factfinder.census.gov/faces/tableservices/jsf/pages/productview.xhtml?pid=DEC_00_SF3_QTP16&prodType=table. Retrieved August 8, 2012. ^ Moskin, Julia (January 18, 2006). "The Silk Road Leads to Queens". The New York Times. http://travel.nytimes.com/2006/01/18/dining/18rego.html. Retrieved April 23, 2010. ^ Sarah Blacher Cohen, ed (1983). From Hester Street to Hollywood: The Jewish-American Stage and Screen. Indiana University Press. ^ "Union Hymnal: Songs and Prayers for Jewish Worship: Central Conference of American Rabbis, Committee on Synagogue Music". amazon.com. https://www.amazon.com/Union-Hymnal-Prayers-Jewish-Worship/dp/B00157OXGY. ^ Margaret Burri (July 18, 2007). "The Jew and American Popular Music". jhu.edu. Archived from the original on January 16, 2013. https://web.archive.org/web/20130116072128/http://old.library.jhu.edu/collections/specialcollections/sheetmusic/musictours/text/jewishmusic.html. ^ "Folksong Festival". WNYC. http://www.wnyc.org/shows/folksong-festival/. ^ "Izzy Young: A folk man in Sweden defined by Dylan". "The Local". http://www.thelocal.se/20100215/24996. Retrieved 4 January 2014. ^ Kaminer, Michael (3 September 2010). "Jews Dominate Vanity Fair 100 Most Influential Moguls List". The Jewish Daily Forward (Israel). http://forward.com/the-assimilator/131013/jews-dominate-vanity-fair-100-most-influential-mog/. Retrieved September 3, 2010. ^ "Common traits bind Jews and Chinese". Asia Times Online. Jan 10, 2014. http://www.atimes.com/atimes/China/CHIN-01-100114.html. Retrieved 23 September 2015. ^ "Common Traits Bind Jews and Chinese". Spengler. http://pjmedia.com/spengler/2014/01/11/common-traits-bind-jews-and-chinese/. ^ "Misconceptions and lessons about Chinese and Jewish entrepreneurs". Lifestyle. Aug 3, 2015. http://www.philstar.com/business-life/2015/08/03/1483091/misconceptions-and-lessons-about-chinese-and-jewish-entrepreneurs. Retrieved 23 September 2015. ^ Maristella Botticini and Zvi Eckstein (April 18, 2013). "The Chosen Few: A New Explanation of Jewish Success". PBS Newshour. https://www.pbs.org/newshour/making-sense/the-chosen-few-a-new-explanati/. Retrieved 4 July 2015. ^ Tani Goldstein (2011-10-26). "How did American Jews get so rich?". YNetNews. http://www.ynetnews.com/articles/0,7340,L-4099803,00.html. Retrieved 4 July 2015. ^ a b Josh Nathan-Kazis (May 6, 2014). "Why Are So Many Pro Basketball Owners Jewish (Like Donald Sterling)?". Forward. http://forward.com/articles/197643/why-are-so-many-pro-basketball-owners-jewish-like/?p=all. Retrieved 5 April 2015. ^ David Brion Davis (2001). In the Image of God: Religion, Moral Values, and Our Heritage of Slavery. p. 54. ISBN 978-0300088144. https://books.google.com/books?id=Yz8EYPZ-8TgC&pg=PA54&lpg=PA54&dq=America%27s+200+most+influential+intellectuals,+are+Jews&source=bl&ots=bz2AJyTUGp&sig=dBobuf22_j96x_2h6J4PZyxai9c&hl=en&sa=X&ei=h6P9U5yyAqHXiwLZqYFw&ved=0CCoQ6AEwAg#v=onepage&q=America%27s%20200%20most%20influential%20intellectuals,%20are%20Jews&f=false. Retrieved 27 August 2014. ^ "JEWISH RECIPIENTS OF THE JOHN BATES CLARK MEDAL IN ECONOMICS". Jinfo. http://www.jinfo.org/Clark_Economics.html. Retrieved September 9, 2014. ^ "Mother Jones, the Changing Power Elite, 1998". https://www.motherjones.com/politics/1998/03/new-power-elite. Retrieved January 20, 2007. ^ "18 of the 20 biggest NYC real estate moguls are Jewish". Jewish Insider. http://jewishinsider.com/1640/18-of-the-20-biggest-nyc-real-estate-moguls-are-jewish/. Retrieved 2 September 2014. ^ "NJPS: Demography: Education, Employment and Income". jewishfederations.org. 2001. Archived from the original on July 20, 2013. https://web.archive.org/web/20130720145138/http://www.jewishfederations.org/page.aspx?id=46193. (2013) "Writing New York's Twentieth Century Jewish History: A Five Borough Journey". History Compass 11 (3): 215–226. DOI:10.1111/hic3.12033.